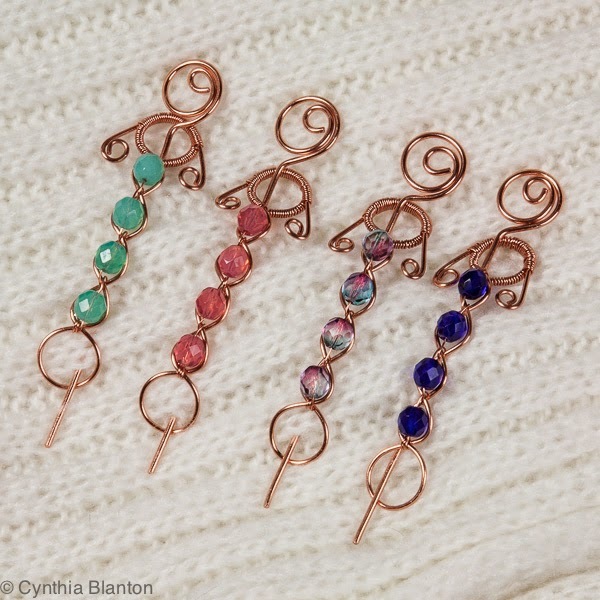 Here is my latest shawl pin design. I made them using my new "Now That's a Jig". I choked on the price of the jig, but it works beautifully and is easier to use than my homemade jigs of nails hammered into pieces of wood. I've got a lot of experimenting to do with it. 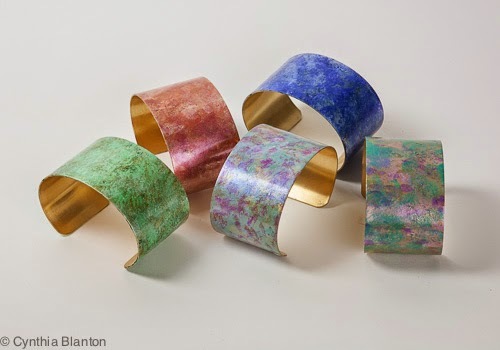 I recently watched a session of Craftcast with Alison Lee called Patina Playtime where she made some cool bracelets from brass cuff blanks. I decided to make some of my own, and I'm happy with the way they turned out.